Telit, a global enabler of the Internet of Things (IoT), on March 02, 2017, introduced the Bluetooth Low Energy (BLE) BlueMod+S50 single mode module. This marks the industry’s first introduction of a standalone and certified, Bluetooth 5 compliant module with a compelling mix of future-proof features designed to extend product lifecycles. Building on the success of the Telit BlueMod family of Bluetooth modules and a complete integrated set of IoT Products and services, the BlueMod+S50 is key to bringing low power, “connectionless” IoT designs and services to market quickly. 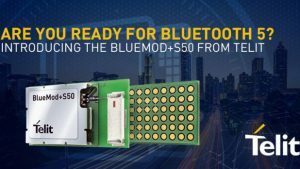 The new BlueMod+S50 module from Telit marks an industry milestone. Now, developers can adopt this cutting-edge technology into use cases not possible with previous generations of Bluetooth, such as full in-building connections. The latest Bluetooth 5 specification offers significant updates with quadruple range and speeds that are twice as fast while increasing the capacity of connectionless data broadcasts by 800%. Always a step ahead, Telit incorporated additional features such as secure, integrated NFC (Near Field Communication) capability and support for most GATT-based Client and Server profiles. NFC Handover: Eliminates manual interaction, delivering a nearly instant and most important—secure connection. Reliable line-of-sight range: over 800* meters. (*250m with Android phone and iPhone). 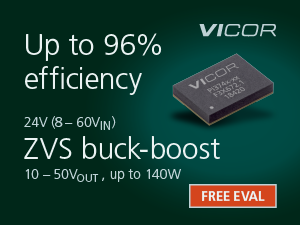 Ultra-Low power: Proprietary UICP (UART Interface Control Protocol) further reduces power consumption of the module by 30-100 times compared to non-UICP operations. 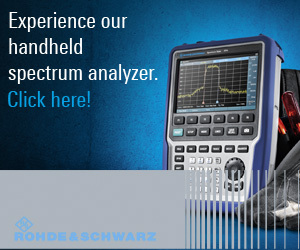 The BlueMod+S50 delivers industry-leading low power consumption and is well suited for many verticals including home automation, healthcare, telematics, asset management, routers and gateways, retail, and smart cities in addition to battery dependent devices with long product lifecycles. Designers can integrate the module without additional hardware via a robust choice of interfaces, including GPIO, ADC, UART, SPI, and others. 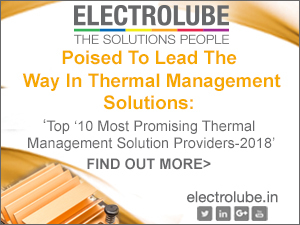 The new module is being fast tracked to address market demand for advanced, low-power wireless networking technology. 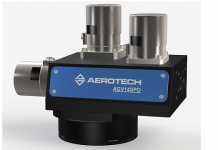 It is the company’s latest addition to the Advanced Edge Technology portfolio that supports Bluetooth, Short range, GNSS, Wi-Fi, LoRa, and LPWA. As device makers are looking to develop IoT solutions that remain relevant for years to come, they are eager to adopt future-proof solutions. ABI Research forecasts Bluetooth-enabled device shipments over the next five years will increase by an average of half a billion per year through 2021, reaching more than five billion. Learn more about the new BlueMod+S50 module in Telit’s booth at Mobile World Congress 2017, located at hall 5 stand E61 and also at http://info.telit.com/bluemods50. * Samples, evaluation and development kits available in the second half of 2017.